My email inbox has always been flooded with a lot of messages. I have subscriptions to various distribution lists which I really don't get to read due to time constraints, however important. 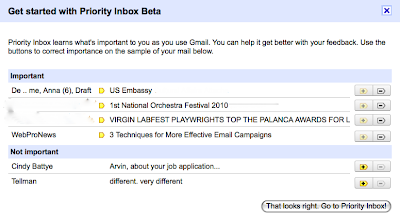 Now, gmail (google mail) deviced a way on how to help us read the important emails first through the Gmail Priority Inbox system. Emails can be marked as "important" and if you want to get back to certain emails, you can mark it with a star. 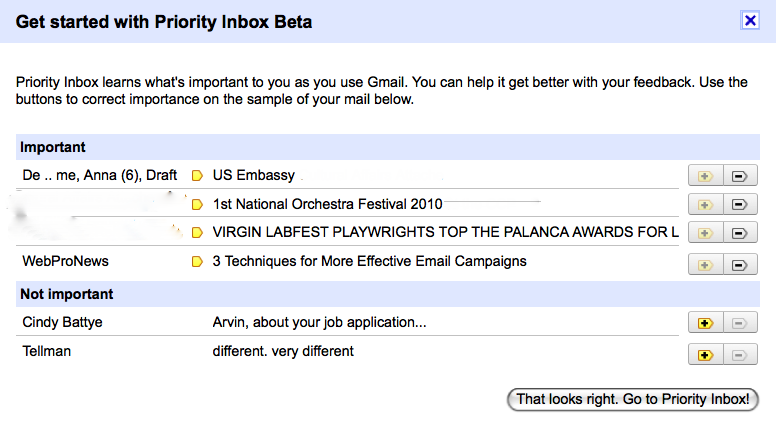 And everything else is placed below (the not-so-important emails). Your inbox gets to adjust by the way you read and reply to specific emails. I'm trying it now. Let's see how this really works.